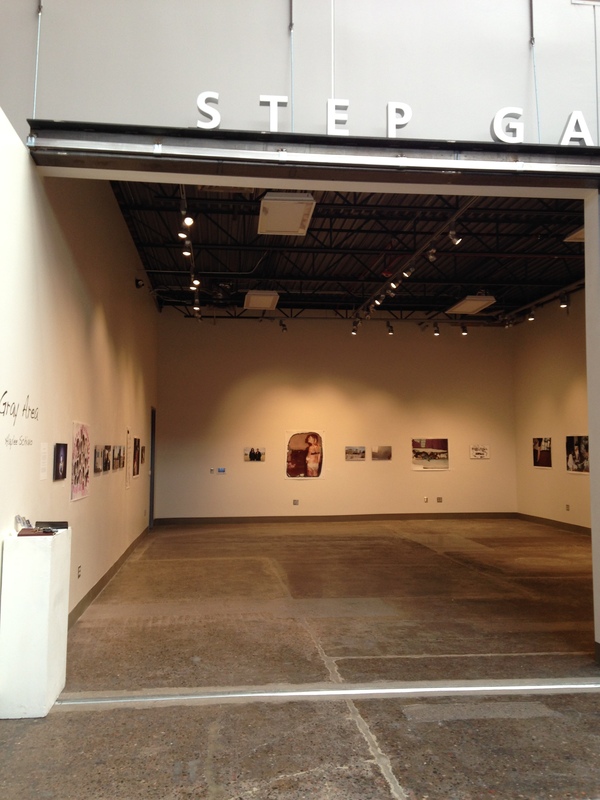 I drove to downtown Phoenix tonight for a friend’s art opening called Gray Area at Step Gallery. 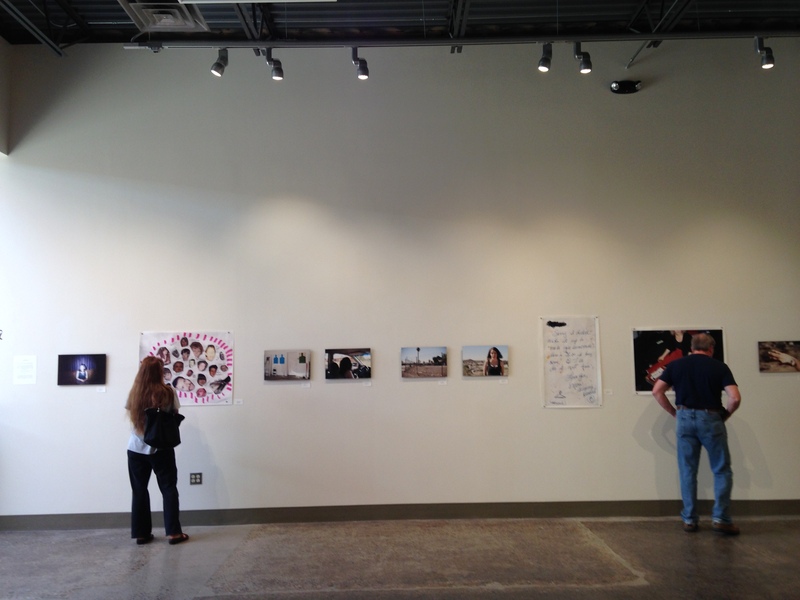 A BFA honor’s thesis exhibition centralized around abuse by Haylee Schiavo. I was taken aback walking into a space where so much celebration as well as healing was taking place. Haylee photographed a young woman named Sally who became the central figure and story in the images. This woman had been through a lot. I could tell this from the tone in the artist statement, but Sally was there; standing and confronting pictures in the gallery. This was her life to be told in photographs, so I could tell she was anxious. She looked at the photographs for what seemed like several minutes at a time and even asked Haylee to give her a few more minutes before taking them down. I knew photographs had power, but seeing someone react to them as other photographers would was something that was out of the ordinary for me. This made me look closer at the work and how the photographs spoke to one another. Scans of old family photos mixed with portraiture of Sally through Schiavo’s perspective filled the white walls with something more. This was a way to understand and process abuse by taking photographs on a journey that has affected them both…but it has also brought them together.